AUSmotive.com » Who knew rhubarb and custard drove so well?! Who knew rhubarb and custard drove so well?! When I was a young lad my lovely grandmother introduced me to the delights of rhubarb and custard. And now, some decades later, Chris Harris has given me a whole new appreciation. 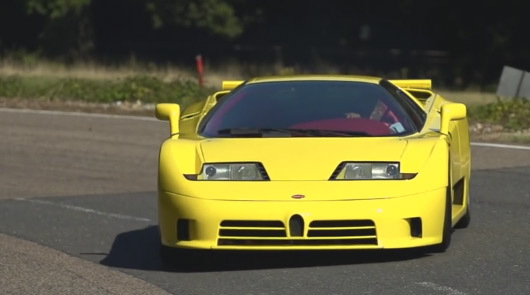 I always thought the Bugatti EB110 was a bit fugly and so it never really resonated with me; I was too busy going gaga over F40s and McLaren F1s. Turns out I might have missed a pretty special boat. But at least I’ll always have my granny’s dessert.